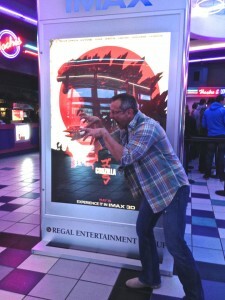 This HAS to be the coolest Godzilla poster I’ve seen for the new movie! 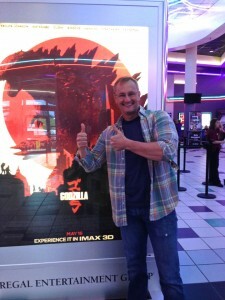 Way-back-when, the first movie my then girlfriend, and now wife, Juli and I saw was, Godzilla:1985. 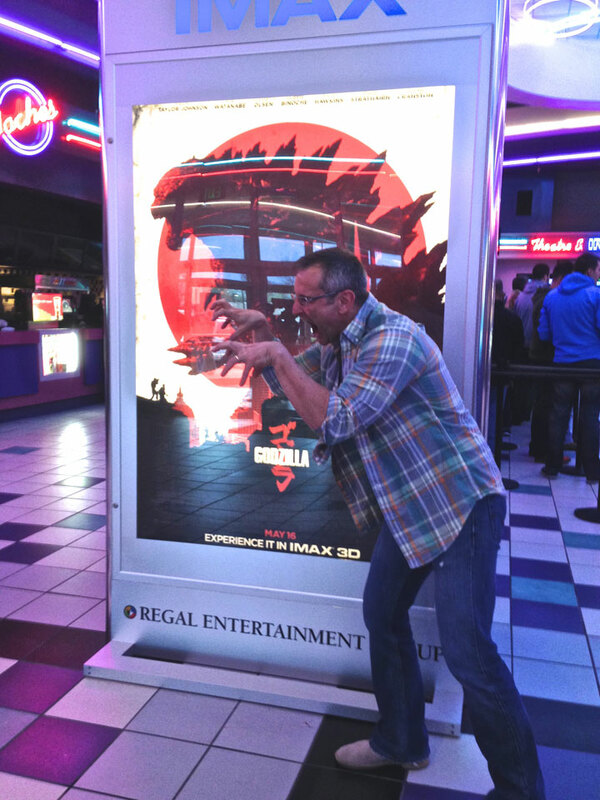 Fast forward almost 30 years to yesterday afternoon when we saw Godzilla 2014. What a great time we had! Really enjoyed the film. It had a lot of heart and the director really “got” Godzilla. It’s sort of a throwback to the late 60’s/70’s Toho Godzilla films where he is more a protector than a monster. The special effects are stunning! We saw it in 3-D IMAX to capture the full depth and size of the creatures, but I wouldn’t recommend you need to see it in 3-D. It wasn’t filmed in that format so the 3-D is retrofitted and doesn’t add anything to the experience. If you are any kind of fan of the old giant monster movies, you will love this. Hmmm, a 300 foot Mel stomping through the everglades…I’m getting some strip ideas!